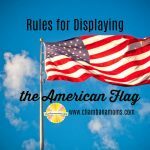 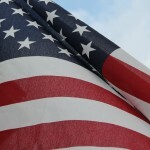 Flag Day is June 14, a perfect time to refresh yourself on how to properly display your flag. 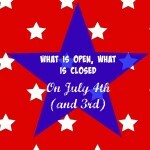 A list of what is closed and what is open in Champaign-Urbana on Independence Day. 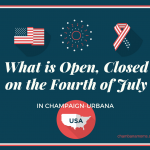 A list of what is closed and what is open in Champaign-Urbana on Memorial Day.